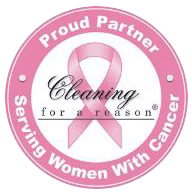 Welcome to 4 SENSES House Cleaning Services Madison, WI, family owned and operated for 13 years residential cleaning company in Madison WI. 4 Senses is residential cleaning service like no other. We love what we do, we are proud of it and it shows. Our professional staff always takes care of all your needs and ensure that your house is treated with care. To make your cleaning experience with 4 Senses even more special we offer our signature amenities like aromatherapy, where candles with lavender essential oils are diffused throughout the home and the chocolate with thank you card left on the pillow as an invitation to relax. A certified cleaners come over and clean your place. carefully vetted by us so we choose the right people to care for your home. You get flat rate pricing, no hidden fees, no surprises. 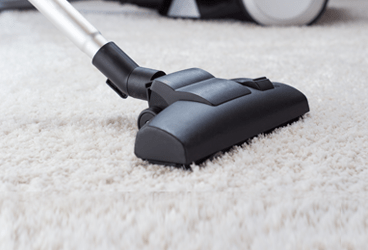 You can expect to have the same friendly & experienced team for each cleaning. We are 5 star rated company on GOOGLE+ and FB. Also we earn over 120 A reviews from ANGIE’S LIST members. We are fully insured and bonded. We also carry worker’s compensation insurance for our employees. YOU’RE IN GOOD HANDS! 4 Senses is the only cleaning service I would hire. The communication is fantastic and the detailed cleaning is amazing. They are very accountable especially when it comes to arrival time... I am very pleased with the service that I receive! I booked the 4 Senses cleaning service through Angie's List, and I was extremely pleased with their service. The communication was great and speedy. The crew arrived on time, and did an outstanding job in cleaning the areas of my house that needed the most attention. It was my first time using a cleaning service, and I would recommend 4 Senses to any one with housekeeping needs. We have hired 4 Senses to clean our home for the past several summers, and it has been one of the best decisions we've ever made! The spring and summer months are busy for a growing, bustling family, and it is so hard to get everything done myself. We are continually impressed by the crew's courtesy, professionalism, trustworthiness, and attention to detail. I nearly cried with relief when I walked through my door yesterday after they left. The whole house was spotless...just the way I like it! 4 House Cleaning Services did a fantastic job cleaning our home when we asked them to come out prior to the Christmas holidays. The ladies were friendly and professional and cleaned our bathroom glass shower doors better than we could have ever done. We really appreciated their work and attention to detail. Highly recommend 4 House Cleaning Services for your home cleaning needs. 4 SENSES helps you live smarter, giving you time to focus on what’s most important. Our skilled professionals go above and beyond on every job. Team is rated and reviewed after each task. Select number of bedrooms and bathrooms, date and time and relax while we take care of your home. Online communication makes it easy for you to stay in touch with your Team.